Five personnel of the Department of State Services have been detained in connection with the brutalisation of teachers at the Federal Government Girls College in Calabar. According to Punchng, the five officials were being detained in the cell of the Cross River State Command of DSS in Calabar. A DSS source, who craved anonymity, told the news platform that the affected personnel were arrested almost immediately the incident occurred on February 2 for going against the rules and regulations of the service. The source said that affected personnel did not get any official directive to go to the school. 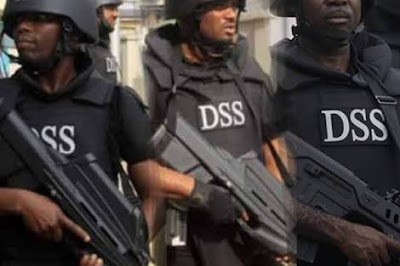 Apparently embarrassed by the perceived unprofessional conduct of its personnel who participated in the inglorious act, the source said that the DSS’ top hierarchy took the decision to detain five of its security personnel who allegedly participated in the invasion of the school. The source, however, refused to disclose the identity of those arrested. He also alleged that the management of the FGGC Calabar had yet to formally lodge any complaint about the brutalisation of its staff. “As we speak, five of our security personnel are in detention and we have commenced investigation into the incident that happened at the FGGC Calabar. Those who went there did not have official directive to go there. “The school has not yet reported what happened to us. The matter is going to be thoroughly investigated and if any of our colleagues is found culpable, the person will be punished according to the laws regulating the conduct of DSS staff. “The DSS remains a law-abiding organisation and will never condone any act of lawlessness from any of its men and officers,” he said. Recall that academic activities at the Federal Girls’ College on Febraury 2, 2017 were abruptly brought to a halt when an operative of the secret police identified as, Grace Loveth Asuquo had driven to the school with a team of fierce looking and gun tottering DSS officers and displayed extreme and mindless brutality on all male teachers they could lay hands on, after her daughter, Loveth Asuquo had called her and reported that she was beaten by a Civic Education Teacher, Mr. Owai Owai, who is a member of the school’s Disciplinary Committee.